In Aristophanes’ comedy The Frogs, a nosy slave listens to his master’s conversations and spreads them around town, resulting in his master’s horrible misfortunes, according to greekreporter.com. The Aristophanes character, nevertheless, was not put there just for laughs. Gossip was a real tool in the hands of slaves who wanted to punish their masters if they had treated them badly. Masters were justifiably worried that a slave might see or hear something in the household which could end up being used against them in a court of law or public opinion. Ancient Greeks even assigned a goddess to represented gossip. Pheme (“fame” or “rumor” in English) was the last daughter of the goddess Gaia. She was depicted as a terrible winged creature who delighted in ruffling her feathers. Beneath every feather there was a prying eye, a pricked ear and a wagging tongue. She flew from place to place at fast speed, gabbling and screeching lies and half-truths to any person who would listen. Idle gossip was a favorite pastime in ancient Greece, as many historians have attested. People from all walks of life constantly indulged in sharing hearsay, rumors and half-truths. Slaves and low-status women without strong family connections could still utilize gossip as their only weapon against their enemies. This propensity to gossip in nearly every member of society served to open up conduits between the weak and the strong, the rich and the poor, the master and the servant. The great philosopher Aristotle viewed gossiping as a frequently trivial, enjoyable pastime, but also saw that gossiping could have bad intent when spoken by someone who has been wronged. Malicious gossip could damage a person’s reputation and irreparably hurt him or her. In ancient Athens, court decisions were based heavily on a character evaluation of the defendant and very little on hard evidence. Consequently, an individual’s reputation was important when it came to judicial cases. In the absence of professional judges, speakers aimed to discredit their opponents’ characters in the eyes of the jurors, while presenting themselves as praiseworthy citizens. The impact of gossip was feared by litigants, so they carefully outlined how the negative stories the jurors might have heard about them weren’t true, and had been spread intentionally by their opponents. 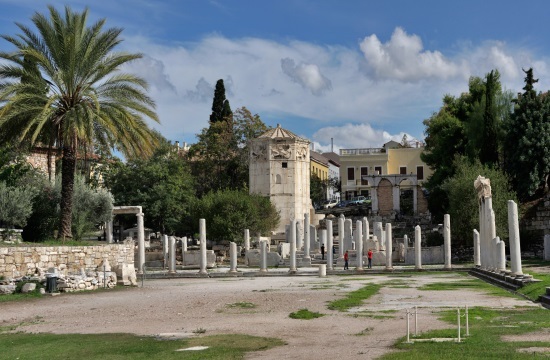 Due to the great crowds which gathered there, public places such as the agora were prime locations to spread gossip and outright lies aimed at discrediting an opponent. In these instances, the intention of the gossipers was to spread false information across the city to generate an impression of the individuals involved which would help them win their legal cases. In ancient Athens, women had no legal rights whatsoever, and they were totally reliant on male relatives to act for them. However, women had one very powerful outlet – gossip – to serve as a useful tool in attacking an enemy. Women’s gossip was used effectively to discredit the character of an opponent in court. Low-status women, with absolutely no access to legal assistance, could still use gossip to help achieve retribution when they were wronged. Athenians made careful use of gossip in rhetoric to defame their opponents in the law courts. The presence of gossip in legal cases indicates that Athenians did not discriminate about the source, but freely took advantage of all kinds of rumors and innuendo in their attempts to defeat their adversaries. Through calculated use of gossip, women, non-citizens and even slaves without access to official legal channels whatsoever wielded a potent weapon in their attempts to attain justice against those who had wronged them.